As President of Brad Sterl and Associates, Inc, Brad combines his corporate experience and Human Resources expertise to provide individualized, effective tools to solve problems and help individuals and teams provide stronger results for their organizations. He has 25 years of experience in Human Resources and people related issues working in corporations serving the commercial and government contracting markets plus not-for-profit organizations. His broad knowledge, inside perspective, and international experience (including an assignment in Bosnia) have helped make a critical difference for organizations in today’s challenging business environment. Prior to founding Brad Sterl and Associates, Inc., Brad was Director of Human Resources for a commercial division of TRW and held a variety of senior HR positions with BDM International (subsequently acquired by TRW). These included Manager, Compensation and Benefits, Manager, Organizational Development, and Manager, Employment, EEO and Employee Relations. Brad holds an MBA from Temple University with a concentration in Industrial Relations/ Organizational Behavior, a BA from Juniata College in Human Behavior and the Organization. 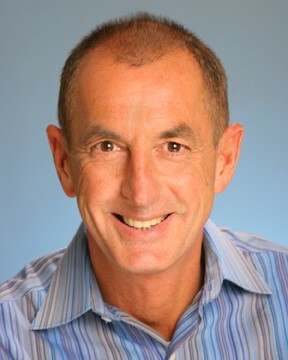 He is certified as a Senior Professional in Human Resources (SPHR), holds a certificate in Leadership Coaching from Georgetown University, a certificate in Organizational Development from NTL Institute, and is certified in the Drexler/Sibbet Team Performance Model and the Myers-Briggs Type Indicator (MBTI). He is also trained in the Interaction Associates method for Facilitation. Brad is a member and past officer of the Society for Human Resources Management NOVA Chapter and the International Coach Federation. He serves on the Northern Virginia Technology Council, Workforce Committee, and served on the Corporate Advisory Council to the Women’s Center of Northern Virginia.